A few years ago, I lived in a tiny “dot on the map” that once hosted a fairly important rally. And no wonder – we had a mixture of straight roads and curves, hills and flats – and even scenery changes from seaside to forest. Now, any driver in any good car would appreciate the variety in road types, but to really appreciate the scenery changes, a convertible would have really enhanced the pleasure. There are a range of convertibles on the market to choose from. But when choosing a car, can you really go past a classic? BMW’s three-series variants have been popular cars for the last twenty or so years, and in the 330Ci, the reliability and safety of the three series has been combined with the class and fun of a convertible. Though the 330Ci is no longer sold new, in the looks department, the BMW 330Ci is a real head-turner. The design has a collection of gentle curves that blend nicely into the traditional BMW “kidney” grille. And all this comes neatly perched on top of some very classy alloy wheels. With the BMW 330Ci, mechanical engineering and great handling are from the top shelf. The BMW 330Ci responds beautifully to the speed-sensitive steering, and the four-wheel independent suspension keeps the ride smooth. The driver has six gears to play with, putting him/her in control of a 3 litre 168 kW engine. A dynamic stability control system (which includes traction control), ABS brakes with brake assist and the rollover protection system keep the BMW 330Ci stable and able to grip the road firmly. The BMW 330Ci has a good list of passive safety features that will come into play in the case of a collision. Driver and front passenger front and side airbags are ready to cushion you from any impact, although the occupant sensor ensures that an airbag won’t deploy if there’s no-one sitting beside the driver. Head supports are there to prevent whiplash, and for your convenience, they’re power adjustable with memory. Capable of seating four, the BMW 330Ci is set up for comfort and convenience. From the humble vanity mirrors and cup holders to the 11-speaker sound system, you will find plenty of handy bells and whistles to keep you amused. The seats are tastefully upholstered in leather, are supportive and comfortable, and the bucket seats in the front have retractable armrests, allowing you to select the perfect driving position for you. The driver’s seat has a memory function, too. Complementing the leather upholstery is the genuine wood trim in the door, dash and centre console. A convertible like the BMW 330Ci isn’t really designed for carrying huge amounts of luggage. However, if you do need to carry a longish load, the rear seat centre armrests have a pass-through feature (perfect for skis and the like). 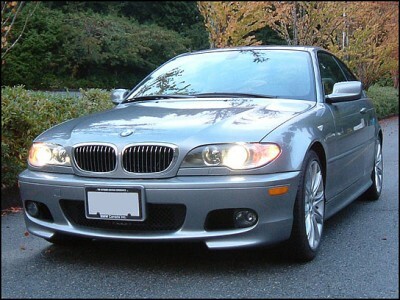 All in all, the BMW 330Ci is a fun and safe car to drive that looks good, too. If you are lucky enough to find a road that offers the driving enthusiast a challenge and drive the BMW 330Ci on it, enjoy the experience. It’s well worth it. For any more information on the BMW 330Ci, or for that matter any other new car, contact one of our friendly consultants on 1300 303 181. If you’d like some fleet discount pricing (yes even for private buyers! ), we can submit vehicle quote requests out to our national network of BMW dealers and come back with pricing within 24 hours. Private Fleet – car buying made easy!